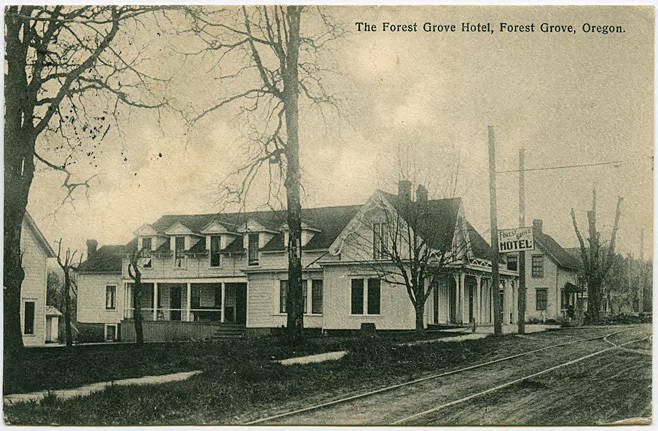 Photograph of the Forest Grove Hotel, with a letter from Edith Pechin written on the reverse. [front] The Forest Grove Hotel, Forest Grove, Oregon[back] Dear friend - Rec'd your card and needless to say I was glad to hear from you. I am still in school and have 3 months yet and 27 pupils, have been trying to take music this winter. We have had one local institute this winter, and will have two more in the Spring. It has been three weeks since I have been to town. Hoping to hear from you again soon. yours truly, Edith Pechin, Hillsboro, Or. 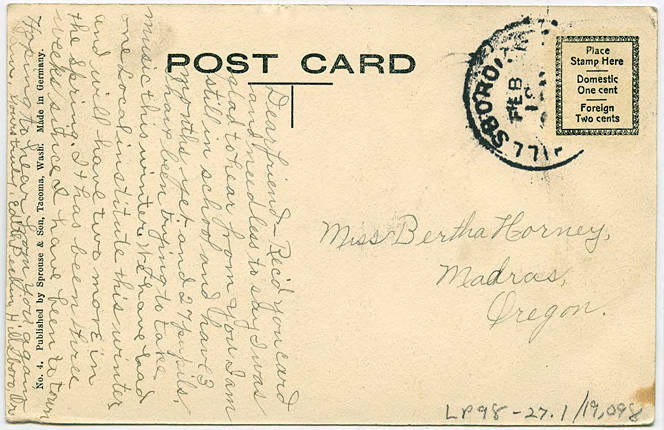 ; Miss Bertha Horney, Madras, Oregon.